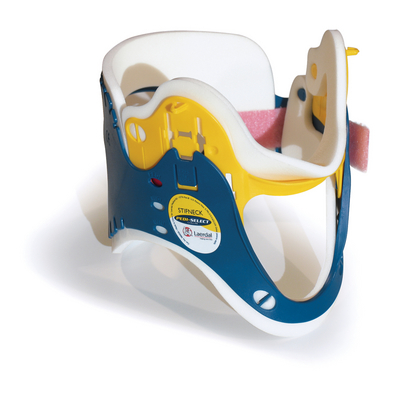 Stifneck® Select™ Collars for Adult and Pediatric saves space and provides outstanding immobilization. The quickest and easiest-to-use adjustable collar on the market. All you have to do is measure the patient, select the size, adjust and lock. Industry first, integrated fastener for Velcro strap has no glues or adhesives in-use on any of the Select adjustable products, the in-molded hook will enhance the performance of the collar in various environmental conditions.